Did Tolkien share the view that First World War soldiers were “lions led by donkeys”? It’s a large question to which I would suggest the short answer is, “Sometimes.” But some pertinent new evidence has been revealed by Dr Stuart Lee, in an Oxford University seminar titled “From the Somme to the Blackwater: J.R.R. Tolkien and The Battle of Maldon”. Note that the word there is “Blackwater”, not “Blackadder”, the comedy series which memorably takes a thoroughly “lions led by donkeys” view of the war. Blackadder has been in the headlines as political and cultural figures (notably Education Secretary Michael Gove and Blackadder star Tony Robinson) do battle over how we should regard the war. But the seminar title refers to the River Blackwater in Essex, scene of the 991AD skirmish which is recorded in the Old English poem “The Battle of Maldon”. Tolkien challenged existing attitudes to the poem in a 1953 paper, “Ofermod”, published with his verse drama The Homecoming of Beorhtnoth Beorhthelm’s Son in Essays and Studies. “The Battle of Maldon” tells how Beorhtnoth, an Anglo-Saxon leader, led his men in a doomed defence against a Viking attack. 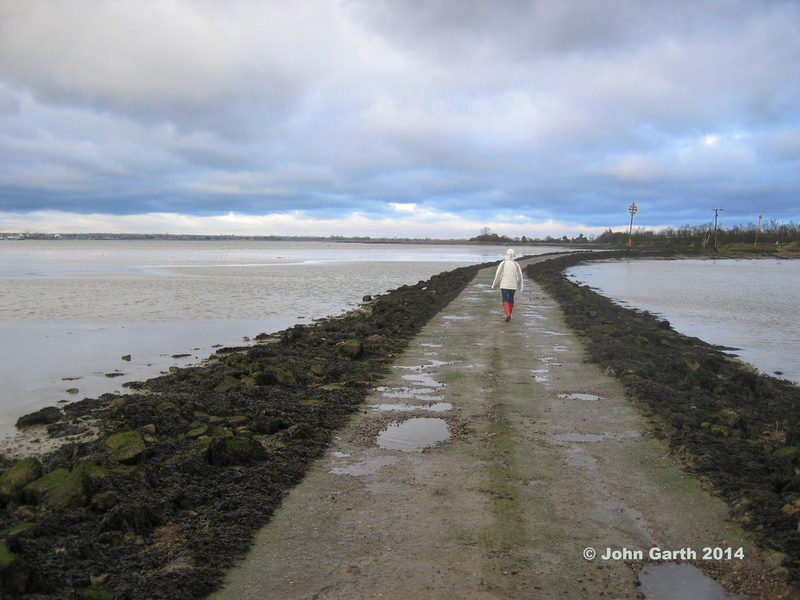 The Vikings were on a tidal island in the river; but crucially Beorhtnoth decided to let this marauding force across a causeway (pictured above). Battle was joined, and the English were slaughtered. The poem seems to celebrate what has been called “Northern courage”, a spirit of dogged bravery even in the face of certain defeat. But the poet also describes Beorhtnoth’s decision as the product of ofermod, the meaning of which isn’t entirely clear. Tolkien argued that the Old English word means not simply “daring” but “overmastering pride”. This could be taken to reverse the sentiment of the poem, turning it into a critique of an irresponsible act of leadership. Stuart, whose book The Keys of Middle-earth (written with Elizabeth Solopova) provides a guide to Tolkien’s medieval sources, has been looking at Tolkien’s manuscript notes on the poem, from when he was an undergraduate onwards. And it turns out that Tolkien breathed not a word of criticism of Beorhtnoth for many years – not until around the start of the Second World War. This, Stuart suggests, undermines any supposition that Tolkien’s view of “The Battle of Maldon”, as expressed in his “Ofermod” essay, indicated a “lions led by donkeys” attitude shaped by First World War experiences. I’d agree that Tolkien’s view of the Great War military leaders wasn’t as black-and-white as all that. But I’d certainly argue that his trench experiences gave him some reason to feel very ambivalent about the leaders. As I said at the end of Stuart’s talk, there is the case of one company commander in Tolkien’s battalion who led a company on a night raid that overshot its goal – so when the sun rose, they were sitting ducks for the German machine-gunners and for the British artillery (unaware of their position), and most of the men were wiped out. This fatally over-extended advance by a military leader seems echoed in quite a few incidents in Middle-earth, including the charge by Théoden at the Battle of the Pelennor Fields. Tolkien’s writing displays a range of attitudes to the different incidents – implying, I think, that he felt deeply ambivalent about such acts of courage from leaders responsible for others’ lives. 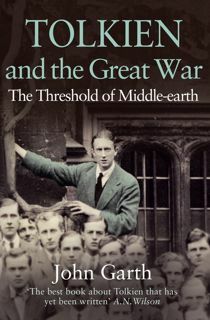 In a talk which also covered a number of other interesting points from the manuscripts at the Bodleian Library, Stuart cautioned against looking to Tolkien’s life or to contemporary events to explain the change in Tolkien’s views on “The Battle of Maldon”. The Second World War itself could have led to a shift in Tolkien’s view – perhaps because he saw ofermod at its worst in Hitler. And as I pointed out, his later view might have been coloured by the fact that two of his sons were in the forces, and facing mortal danger, whereas Tolkien himself had to sit on the sidelines powerlessly. However, Stuart‘s point was not about the creative writer but the rigorous scholar. As he said in a later email exchange, whatever Tolkien felt about the military leadership of 1914-18 (a debatable question), “he was entirely at liberty to overlay these views onto scenes or characters in his fiction, of course, and did so I believe; but he was too great a scholar to allow his own personal feelings and experiences in the 20th century to colour his views of the tenth.” That’s a persuasive argument. I had squeezed into a seminar room along with about 70 other people. It was, as Stuart said, reminiscent of the Chamber of Records being overwhelmed by all the orcs in Moria. Fortunately, the lecture theatre next door was free, so we had plenty of space in the end. Stuart, incidentally, is also the editor of the forthcoming Blackwell Companion to Tolkien (to which I’ve contributed the chapter about Tolkien’s life). After the seminar (on 22 January) I was delighted to see my former Oxford tutor, Professor Vincent Gillespie, who originally taught me Old English and “The Battle of Maldon”, among other things. I’m sure I wasn’t the ideal student: when I ought to have had my nose to the grindstone, I remember spending a lot of time playing pool, listening to records with friends, or browsing in bookshops. Vincent, who was “Dr. Gillespie” in those days, is now the J.R.R. Tolkien Professor of English Literature and Language at Oxford. 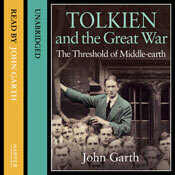 And he’s not only read Tolkien and the Great War, but enjoyed it – so it seems I did okay in the end. 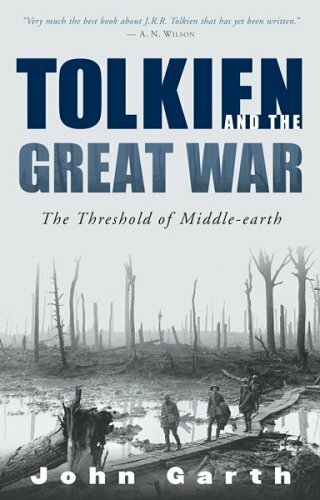 This entry was posted in Tolkien in the First World War and tagged First World War, Medieval, Tolkien's scholarship. Bookmark the permalink. Excellent piece John, thanks for sharing that. And congratulation too on now being read for more than that week’s essay 😉 Is the Tolkien post a replacement for the Rawlinson & Bosworth? The Rawlinson and Bosworth Professorship of Anglo-Saxon still exists — it’s 219 this year – and is occupied by Andy Orchard of Pembroke College, where Tolkien once held the same seat. Curiously, they both read English at Exeter College. The J.R.R Tolkien Professorship of English Language and Literature is rather newer, and is based at Lady Margaret Hall. Oh. Thanks for the clarification John, well well, do you think he’d fancy an invite to talk at Oxonmoot? Thanks for the write-up and great to see LMH has come up with this chair.